Oak veneers on select hardwood solids. Life is a banquet with the Ravena dining collection. 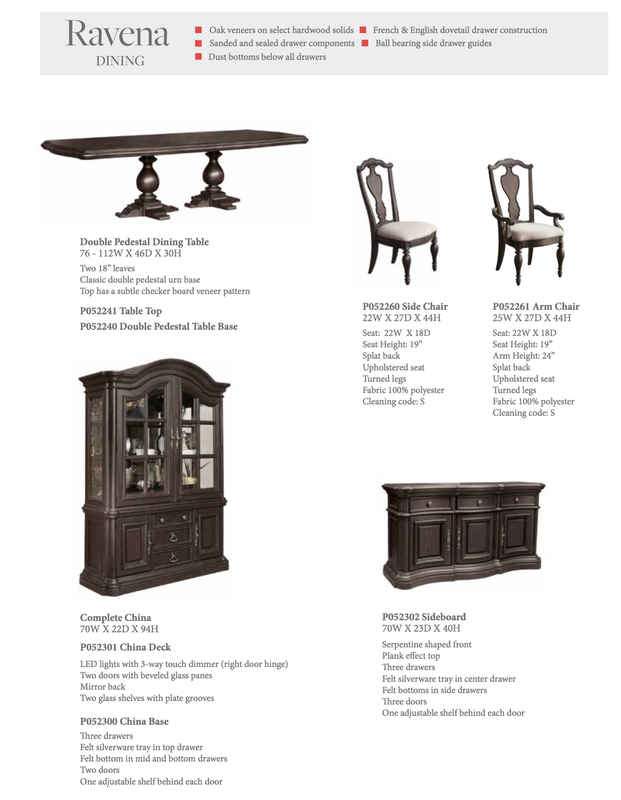 European traditional styling, grand scaling, curved lines and complex molding bring classic elegance to today's homes. The rich dark brown distressed finish adds and aged and timeless quality to each piece.